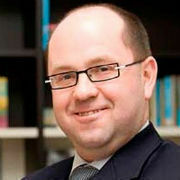 SPITTAL AN DER DRAU (AT) - To destroy confidential documents, most of them containing personal, medical or financial data, Russell Richardson, a leading UK company in the field of secure document management, has been operating a Lindner Micromat 2000 single-shaft shredder since 2015, which complies with the specifications for the destruction of confidential and secret data (security level 3 – 5, DIN 66399-2). Because of this shredder’s high efficiency, the company comfortably meets its present requirements, which had not been possible with all previously used smaller shredders put together. The material delivered to Russell Richardson’s headquarters in the English city of Sheffield usually has a density of around 200 kg/m³, a moisture content of less than 15 % and a size of up to 1 m². After unloading, the staff places the sacks or cardboard boxes containing the documents directly onto a conveyor belt, which then immediately transports them into the Micromat 2000. Russell Richardson selects the machine’s screen size according to the requirements of the respective security level. After compressing the material into bales, it is loaded back onto trucks that transport it to a recycling company. There, this material, which is predominantly treated in the UK as Sorted Office Waste (SOW), is then typically processed into hygienic paper such as kitchen rolls, toilet paper, paper tissues etc. Managing Director Jonathan Richardson reports: "The shredding of confidential documents stretched our previous machines to well over their capacity limit. In the search for an alternative, Mach Tech Services Ltd., Lindner's UK partner, offered us a future-oriented solution in the shape of the Micromat 2000. We were promised a very high throughput of 5 to 8 t/h for our input material and this was basically the key argument in our decision to purchase." The company has achieved on average a shredder performance of 6 t/h. The system operates in 8-hour shifts to give a total of around 2,000 hours a year, equivalent to an annual throughput of some 12,000 tons. Richardson is also very pleased with the general availability: "Each of the 104 simple-to-change knives has four usable blades, and each blade lasts for around 200 hours. This means that we have to turn the knives, if at all, only once a month. And because the Micromat is so readily accessible thanks to the particularly large maintenance flap, unscrewing and replacing the knives requires only very short downtimes." The Micromat is a powerful single-shaft shredder, which Lindner has rigorously designed for low energy consumption plus high productivity. Thanks to Lindner's modular system, it can be flexibly configured for its particular purpose. The Micromat 2000 installed at Russell Richardson is equipped with a powerful 132 kW motor that allows an efficient rotor speed of 265 rpm and thus ensures a high throughput. The respective belt drive and, connected with this, the maintenance-free safety clutch, reliably prevent foreign matter that may be contained in the delivered material from causing damage to the drive unit. In addition, the system is equipped with a dust collector to comply with the stringent health and safety requirements, while a combination of spark detector and fire extinguishing system helps to prevent fires. Summing up, Richardson says: “We now save a considerable amount of energy and money compared with the previous situation with several small shredders. We also benefit from a considerably higher throughput. What’s more, we are particularly pleased that we have contributed to a good work atmosphere because our employees no longer have to put in extra shifts." The company was founded in 1978 as a paper recycler and has evolved into one of the UK's leading document management and confidential shredding companies. Its range of services covers on and off-site shredding of documents and data carriers of all kinds, as well as the shredding of textiles and uniforms. 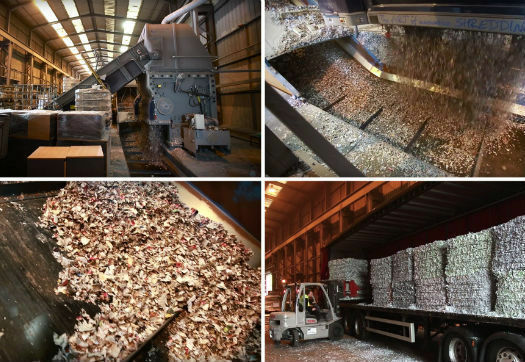 All the shredded paper is sent back to the paper mills for manufacture into new tissue products. The company, which is still fully family-owned and is certified to ISO 14001, is focused on the needs of the customers, job satisfaction of the staff, and the fair treatment of suppliers and loyalty to them.